If you are familiar with the FS17 map then you should be able to find everything without trouble. 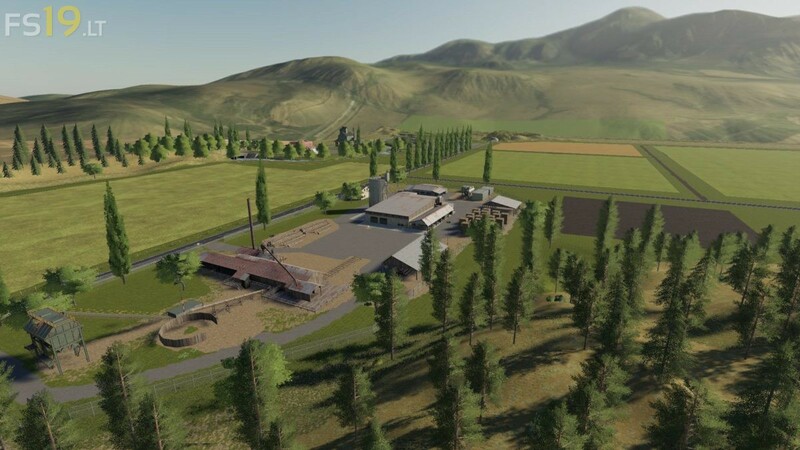 The sawmill has been moved down into the valley since the larger sawmill I used for FS19 did not fit in the old location. Both the wood and wood chips sale triggers are at the sawmill and are configured the same as the default Ravenport map. The wood heating plant (E.G. Miles Heat & Energy) in the extreme Northeast corner of the map also buys wood by the conveyor. Also at the heating plant is the trigger to buy hay, grass, silage, and straw. It appears as "Barn" on the PDA and buys bales or loose. The restaurant is next to the heating plant and is a regular sale point for grains, milk, and eggs. The grain mill just across the Clark Fork River is also a regular sale point. The livestock market and spinnery are also across the river. 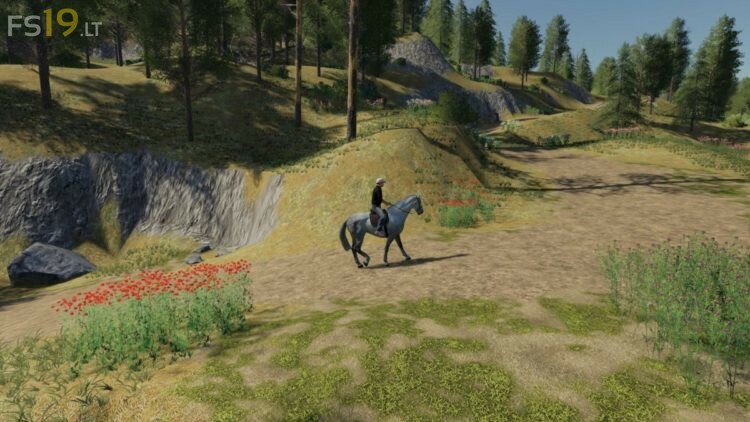 The last sale point is in the Northwest corner of the map and appears as "Ranch" on the PDA. 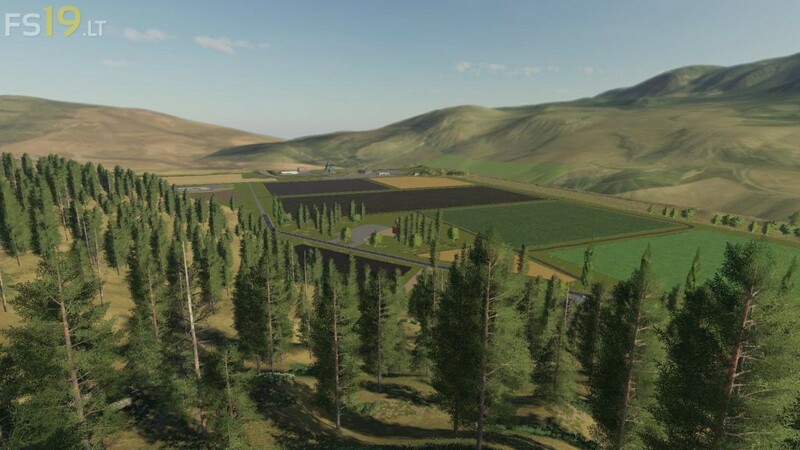 That area is set up to be the horse ranch and has a large grassy area for placeables and growing hay. There are water triggers scattered around the map so you don't need to buy a placeable one. The large water tower in the town and the smaller one by the livestock exchange both have water triggers. You can pump water from the river or the pond in Little Marten Gulch. Additionally, most of the green water tanks have water triggers. There is a lime station at the equipment dealer.